A motor industry expert has claimed that the UK is a long way from saying goodbye to diesel and petrol vehicles as the Government pushes for a greater uptake in hybrid and electric cars. 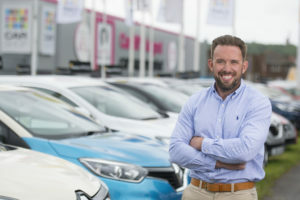 Liam Powell, Director of Ask4Leasing, a contract hire and car leasing specialist, claims that the infrastructure isn’t in place to support the demand needed for the general public to fully embrace green energy vehicles. When asked about the mood of the market since the announcement, Liam said: “No customers have changed their minds since the announcement; diesel and petrol cars still outweigh hybrid and electric by quite some way. However, we have seen a steady decline in the popularity of diesel cars over the last few years due to people being better informed of the health risks, people being more environmentally conscious and the improvement in the efficiency of petrol cars; with many being capable of 70 miles per gallon. “Most certainly, though, the steady decline has been because of the improvement of hybrid and electric vehicles; especially when it comes to businesses and company cars. The UK will look to follow the likes of Norway, which has had a big push towards electric vehicles since the 1990s. The emissions scandal that many manufacturers were caught up in is something that has been suggested as a key motivating factor behind the Government’s decision to press ahead with this push. For more information on Ask4Leasing visit www.ask4leasing.co.uk or email sales@ask4leasing.co.uk.